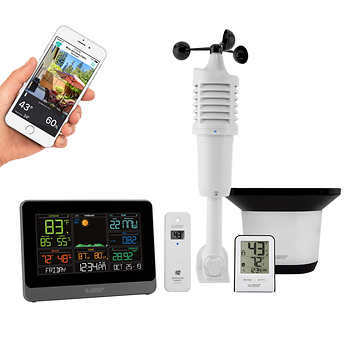 I have received several emails recently asking about weather gifts, so let me provide some ideas for those of you wanting to get a special weather gift for family or friends. You know I had to mention my own book: The Weather of the Pacific Northwest, which is available online and at many local bookstore. But there are others. How about a fast-paced read about a major historical weather event (the Galveston Hurricane)? Try Issac's Storm, written by local writer Erik Larson. 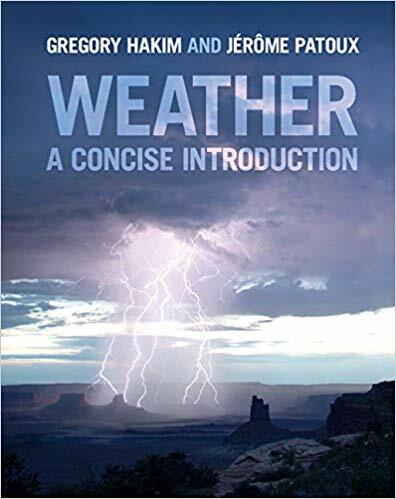 Want a book about a local storm? How about the biggest Northwest storm of all time--the Columbus Day Storm of 1962. 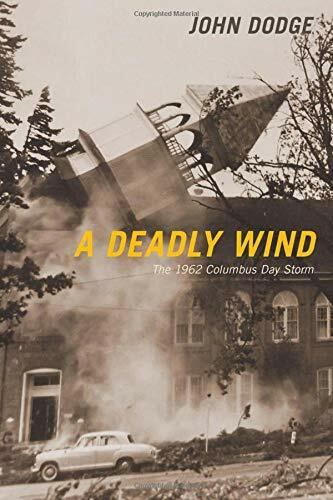 Local writer John Dodge provides an interesting detailed account in his book, A Deadly Wind. There is no more satisfying skill than to be able to "read the sky": being about to identify clouds and know what they tell about current and future weather. And a great tool to gain that skill is the cloud chart. My favorite was created by retired UW Weather Scientist Art Rango: Guide to the Sky. Available from many outlets (search for it online) and less than 10 dollars. A bargain. Or you can get a free weather chart online and print it out. Here is one available from your friends at the National Weather Service. 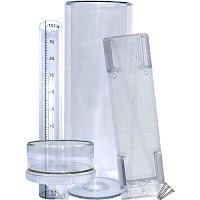 Nothing connects you better to the weather than to own a rain gauge and measuring the daily total accumulation. I do this myself. You can get a cheap wedge-type gauge or an inexpensive cylindrical ones at local garden and home supply stores (e.g., Lowes, Home Depot). 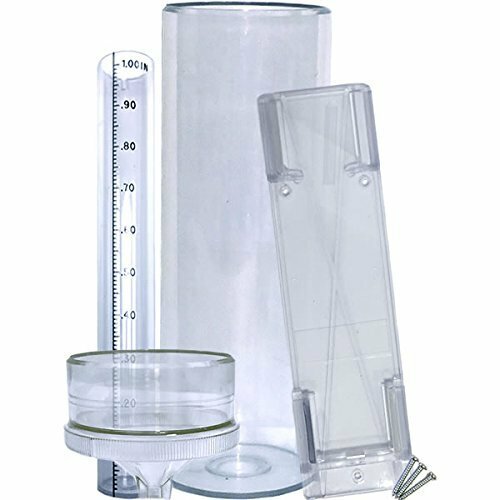 But if you want a top of the line gauge, get an official CoCoRahs Rain Gauge (CoCoRahs is a volunteer rain gauge network), which is available from many sources for $30-40. What a wonderful gift for a child interested in weather--and you can encourage them to record their observations and maybe even plot them on graph paper. Few things are more useful than knowing the outside temperatures, or more educational to follow. Inexpensive, and relatively accurate, temperature sensors that can be placed outdoors, but followed from the comfort of your house or apartment. $15-25 dollars should do it. You can get these online, garden stores, or HomeDepot/Lowes. Let's say you are really serious. You want to view all major weather parameters (wind, temperature, humidity, pressure, wind speed, wind direction, precipitation) at your location. And maybe you want to input the weather readings into your home computer, to plot and analyze them. Good for you. Great weather stations are available at reasonable prices. But I warn you, you get what you pay for. $ 75.00. But you may not be happy with it--the sensors are of generally low quality. But if you just got a holiday bonus or have some extra cash, professional quality weather stations are available for $400-1000, such as the Davis Vantage Pro2 series (see below). Very good equipment. They even have point barbs on their rain gauge to prevent birds from using the gauge as a toilet. Now that is primo! 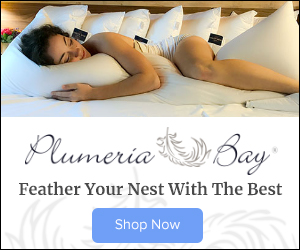 Whatever you buy and whatever you spend as a gift to yourself, a family member, or a friend, a weather gift is a great way to learn about the atmosphere, gain an intuitive connection with the evolving weather spectacular around you, and make you safer and more comfortable in your daily life. I measure with a Davis VP2 wireless and can attest to it's awesomeness! Dear Professor Mass, I have looked online for Arthur Rango's Guide to the Sky book and have been unable to find it. Is there anymore information you could provide so I can find it? Also, a couple years ago, your protege, Scott Sistek, recommended the Davis Vantage Pro 2 wireless and I have enjoyed it since. I do have your book and have been waiting (rather inpatiently) for your next book. Thank you for your blog, the information you share, the many things I have learned from you, and your enthusiam for weather and for how to slow climate change. 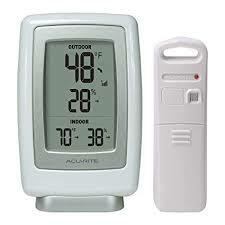 Another great choice for Home Systems is Ambient Weather's weather station WS 2902A. It is less than 1/2 the price of the Davis system with all the Davis system functionality, a better display and free integrated software. It is an Amazon top choice in this category. 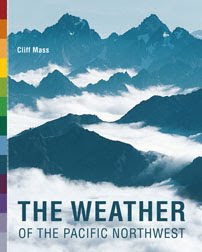 For local weather I highly recommend "The Weather of the Pacific Northwest" by Cliff Mass. I read it a few years ago and found it to be informative and interesting (I have no connection to Dr. Mass). Regarding rain gauges I suggest getting a cheap one (or several). It is just a matter of time before it freezes and the ice breaks the glass or cracks the plastic. I have been through several. If anyone knows of one that can handle freezing I would like to know about it. Just finished reading A Deadly Wind, a good read. My little piece of Philistene Gravetite rock on a string is moving more than an inch and is damp. Welcome to the Bow weather central!!! Observer Program for extreme detail on your own installation. The Davis VP2 can be broadcast online with ease, and with the weatherlink software keeps excellent records. CLiff's The Weather of the Pacific Northwest is a MUST READ if you live in the Region. I have read it twice and often go to it for reference. Purple Air PA-II air quality monitor or a portable type to wear out and about. One way to keep rain gauges from freezing is to pre-charge them with antifreeze and a film of environmentally safe oil. The oil prevents evaporation. SNOTEL calls these precipitation gauges as they measures all precipitation in any form that falls during the year. Tipping bucket gauges only measure rain, or snow that melts into the device. Of course, the pre-charge will have to be done whenever the gauge is emptied. SNOTEL only services most sites once a year; they have some very tall storage gauges! OK Cliff, you have to post about the tornado. Looks like it was a lot stronger than the wimpy ones we normally get.